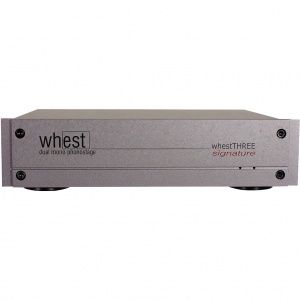 It’s just a small whestTHREE Signature! During its development we used the following cartridges: Ortofon MC Anna, Denon DL 304 (0.18mv), EMT JSD6 (0.18mv), Lyra Delos (0.6mV) and the Dynavector XV1-T (0.35mV) for much of the listening tests and noise measurements. For listening in MM mode we used the Ortofon 2M RED and Black, Goldring 2500, Grado Reference 1 Phono and Audio Technica AT440 MLA and AT95E, Rega Exact and the Roksan Corus Silver Class-A output stage. 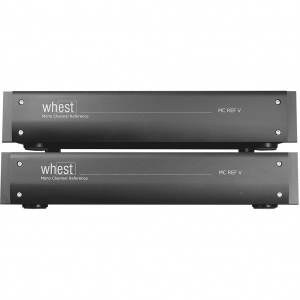 Like all Whest Audio phono stages, the whestTWO.2 also employs a fully discrete transistor Class-A high output current output stage. 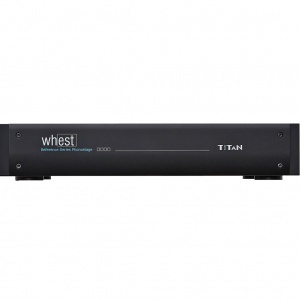 This coupled with the high performance/ high voltage power supply will give you a level of musical performance you thought was only possible well outside this price range. 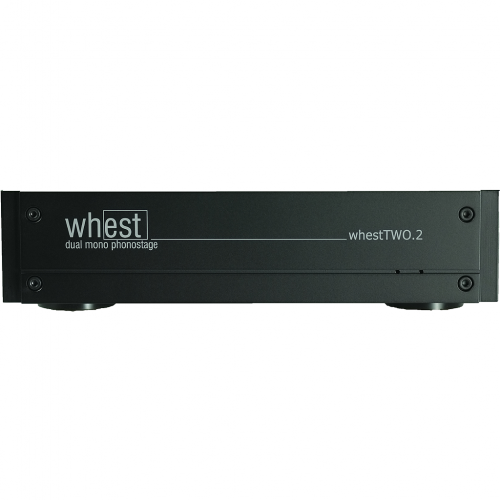 Balanced outputs The whestTWO.2 comes as standard fitted with true balanced outputs which are fed from the output of the Class-A stage. While most manufacturers are content with using a 2.00 EUR IC chip to perform the balancing process and degrading the signal in the process, the whestTWO.2 processes the signal exactly like many high-end microphones and mixing desks...this means a perfect balanced feed if you are using long signal lines. 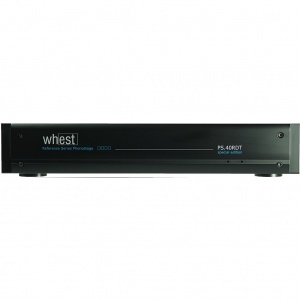 Loading options The whestTWO.2 is equipped with 6 resistive load and 6 gain options for maximum flexibility with the wide range of cartridges available today. The resistive load options are 100, 220, 470, 1k, 15k and 47k ohms. MM gain is covered by 43dB. 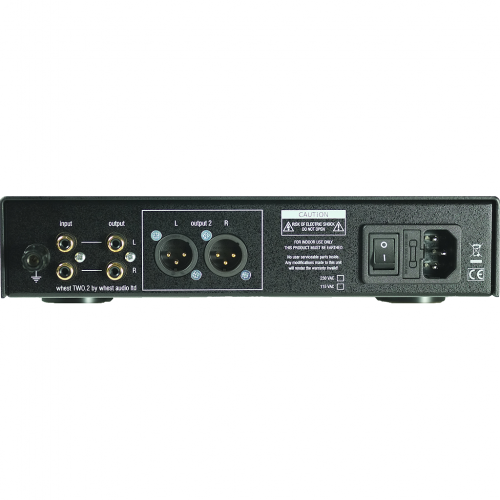 High output MC is covered by 50dB, 55dB while the low output MC sets are 60dB, 65dB and 72dB.